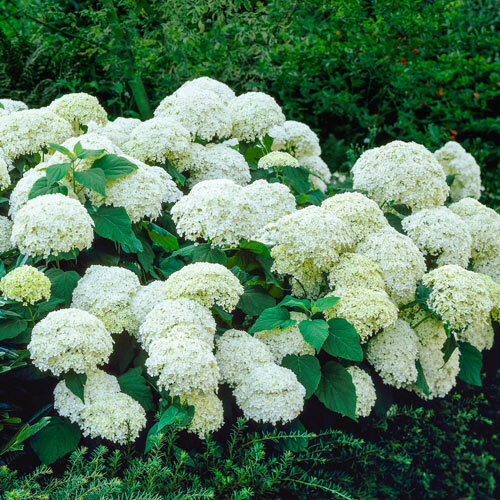 Large clusters of small white blooms appear in midsummer and gently fade to a wonderful shade of green. 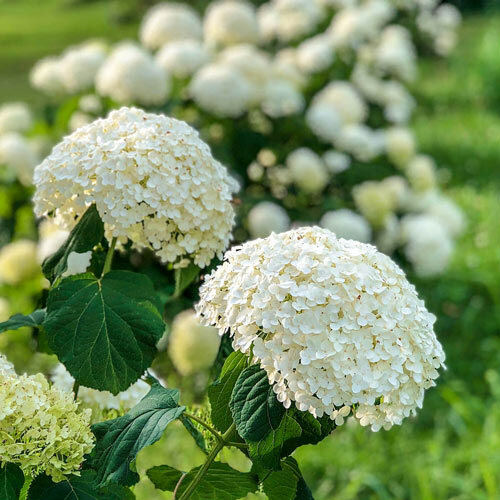 Annabelle Hydrangea blooms without fail each season to create a bold statement for the landscape. It's great for dried arrangements, too! 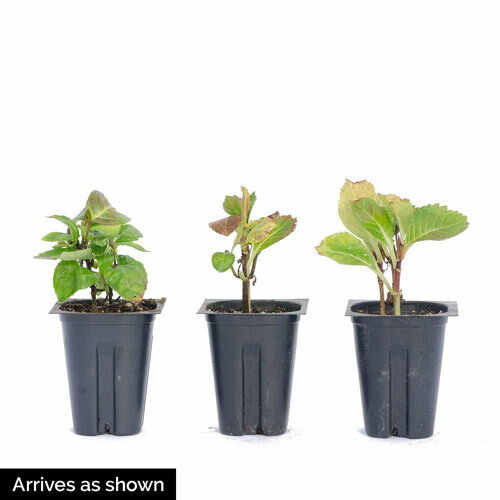 Foliage TypeBroad rounded, sharply toothed dark green leaves 2-6" long with pale green undersides. Leaves turn yellow in fall. 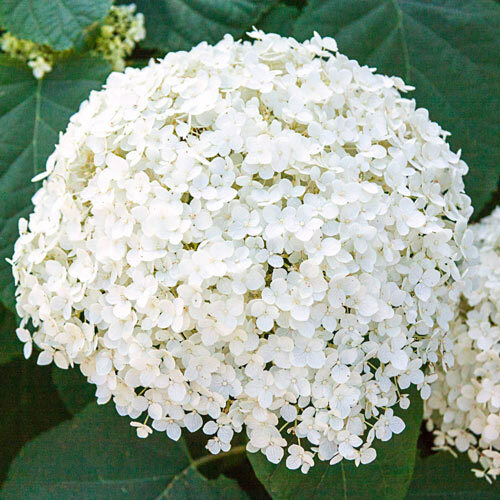 Flower FormTiny white fertile flowers corymbs 2-6" across. Soil RequirementsMoist well drained fertile soil. Not drought tolerant. PruningPlants may die to ground in harsh winters. Bloom occurs on new wood, so plants may be pruned back close to the ground in late winter. Winter CareMulch to maintain soil moisture, plant in sheltered site. Planting InstructionsSet plant at same level it is growing at in the container. Firm soil and water thoroughly.